Having gone through several ordeals in life, Tashi Namgay has finally earned a smile on his face that can melt the hearts of many. He is a man who has found the extraordinary courage within himself to walk the path not so commonly walked by his contemporaries. Today, he is admired by many people for his noble initiatives and contributions to the society, firstly as a social worker and secondly as the Executive Director of Bhutan Kidney Foundation, the non-profit organization he founded in 2012. To me, he is a great source of inspiration especially for young people. He bears testimony to the fact that nothing is impossible if we are truly determined to achieve what we aspire to achieve. This is a story of how determination, hard work and love for humanity can carry a person far into the realm of happiness and contentment. I first met Tashi Namgay a few days after I joined my service at the Department of Youth and Sports, MoE in January 2007. When I was feeling lonely and awkward in a new environment, he was one of the first persons to come forward to give me company. He told me that he was working as a receptionist under the same Department and soon we became good friends. A few years later, he moved to Changjiji Youth Center as an incharge and that gave us the opportunity to work together directly. At Changjiji Youth Center, he initiated a lot of activities to engage youth meaningfully and we worked together on several occasions to organize youth programs. 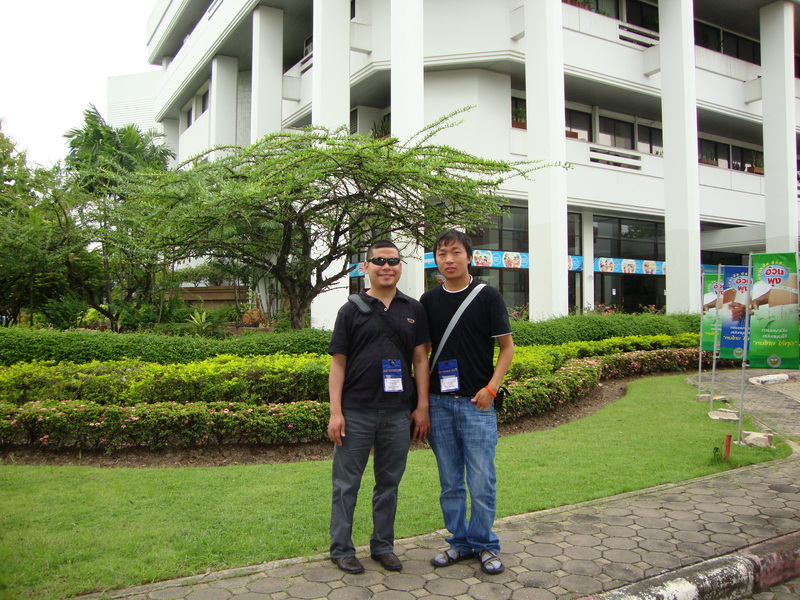 It was during this time that we also got an opportunity to fly together to Bangkok in September 2009 to visit youth organizations in Thailand. It was one of the most memorable and interesting trips we ever had together. What is more amazing about Tashi is that he is currently living the second life. In November 2005, he noticed that he was not feeling well and went to JDW National Referral Hospital for medical check-up. When he learned that both of his kidneys had failed, all his dreams fell apart at once. He didn’t know what was happening around him. He was totally confused and nervous. For several days, the world moved without him. Nevertheless, he kept praying to God for his blessings. Soon his prayers were answered through the generosity of a man who offered to donate his kidney. A number of celebrities came forward to raise funds for him while others volunteered to donate whatever amount they could to support him. The biggest chunk of support however came from his aunt to whom he is still very grateful. After several months of vigorous fund-raising efforts, he was finally ready for the kidney transplant. On 12th April 2006, he underwent renal transplant at Christian Medical College in Vellore in Tamilnadu, India. The transplant surgery was successful and he felt immensely grateful for being blest with the second chance to live. 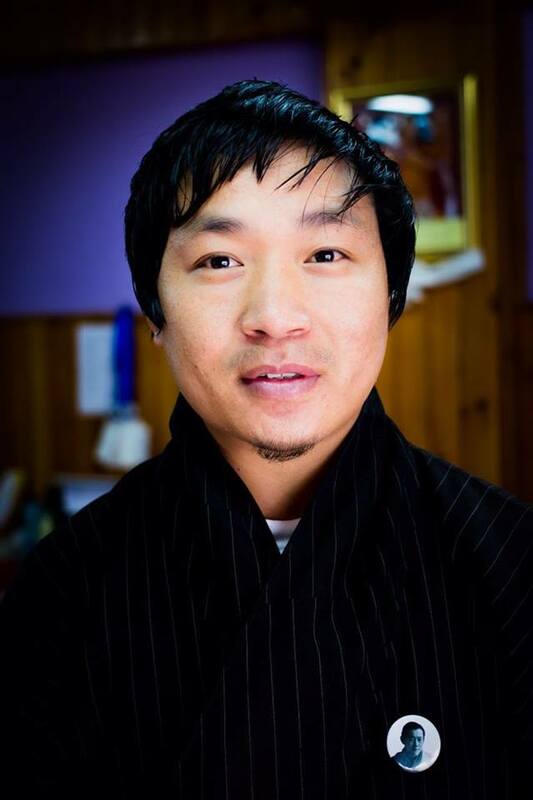 Tashi says that this life-changing experience has indeed made him a better human being. The near-death experience that he has been through has helped him acquire a different perspective of life and impermanence. Having survived this ordeal, he wanted to help others going through similar experiences and save them from the misery he had been through. Sometime in 2010, he told me how he wished to establish a non-profit organization to help and support people suffering from kidney diseases and promote their general wellbeing. I instantly jumped at his idea and volunteered to help him in whatever capacity possible. So, I joined his team of supporters like Rikku Dhan Subba, Mr. Monorath of Bank of Bhutan and Kinley Tshering of Business Bhutan to work towards registering Bhutan Kidney Foundation as a non-government organization. We met in different places during odd hours for several months to discuss and prepare necessary documents. With full support from His Majesty's Secretariat and other well-wishers, he could successfully register Bhutan Kidney Foundation as a formal Civil Society Organization on 15th August 2012 under the Royal patronage of Her Majesty the Gyaltsun, Ashi Jetsun Pema Wangchuck. Today, he wears a smile that can light up the society through his noble ideas and initiatives. In addition to organizing special events and programs for kidney patients and their families, he is also mostly seen interacting with the public giving them health advice and sharing his positive energies. He also regularly socializes with kidney patients in the hospital, providing them moral support, counseling services and general advice. He is always seen with full of life and music. Whenever I meet him, he never fails to impress me with his beautiful ideas to help the needy people even beyond the scope of his organization’s mandates. He is very intelligent, creative, innovative and analytical. I think being a social worker is his way of paying back to those who saved his life. I feel fortunate to have him as a friend in my life. Although we don’t regularly meet in person, we actively follow each other on social media. He is a source of inspiration to many of us. It has been over ten years since he got his kidney transplant, yet he is still healthy and active. May God continue to bless him with good health and happiness so that he can contribute more to the society! This story is inspiring and very motivating to the readers to know how Tashi Namgay is living a new life with full of compassion to help others. I also can feel his gratefulness and determination to help as I myself also had a near death experience when I was younger. My intestine burst with toxic all over my blood stream and the hospital doctor had to inform my family to get prepared if my week long fever could not subside. I manage to pull through and survived till today. I have looked and appreciated life very differently ever since. Many thanks for your comment. Tashi is a paragon we all can look upto for inspiration. Thanks for sharing your own story. Respect... Thank you for featuring him in your blog la..